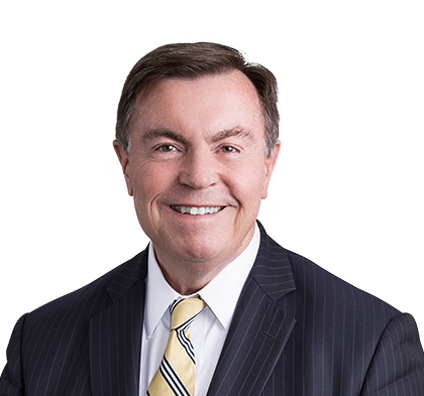 Serving businesses for 35 years, Brad has a national practice in the areas of OSHA/MSHA defense, labor and environmental law. Won 25 unfair labor practice cases filed against a water company before the National Labor Relations Board (NLRB). Defended 26 OSHA investigations and penalty actions involving workplace fatalities. Won more than 20 OSHA whistleblower retaliation cases for general industry and construction sector and 8 MSHA whistleblower cases in the mining sector. Prevailed in an administrative action against Illinois EPA to extend a precedent-setting water discharge permit involving effluent trading. Counseled prospective buyers of coal-fired power plants in Arkansas, Colorado, Florida, Nevada and New Mexico. Negotiated collective bargaining agreements for numerous manufacturing companies, animal rendering facilities, mine operators, television stations and hotels. Obtained favorable results for dairy companies in more than 100 OSHA citation cases nationwide. Settled OSHA case for a medical practice, reducing the original penalty amount by 80%. Obtained dismissal of a whistleblower complaint for a company in the cable television sector. Complaint alleged that company failed to provide certain safety equipment and retaliated with wrongful termination. Rock Products: The Blurred Line: What is Your Company's Jurisdictional Boundary Between MSHA and OSHA? Blurred lines: Does MSHA or OSHA have Jurisdiction at Your Site?